I have looked at this series several times and finally decided to try it on my Kindle. I read lots of mysteries and love cats and wine, so expected to love this. The main character is a young widow who is a relative stranger in the small town she lives in, people know of her but don’t know her. 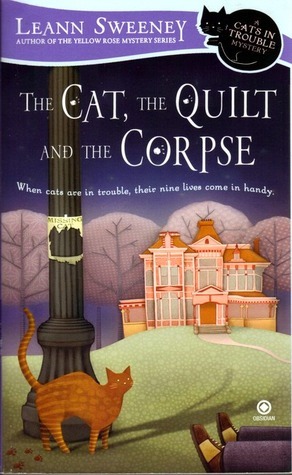 Her life revolves around her three cats and her quilting business and the mystery begins with one of her cats, an Abyssinian, named Syrah, being catnapped. The other two, Merlot and Chablis, were apparently the “brains” of the crew and hid from the cat napper. There is a murder later with a human victim, but make no mistake the cats are the stars of this show. I found the book to be okay, maybe 2.5 out of 5 stars, but there was not enough there to keep me going back for more in the series. Not when I am interested in so many other series and have so many started. I didn’t connect with the character, Jill, that well and found a couple of the other characters a little odd, not odd in the cozy mystery, quirky character kind of way, just odd. I will say I was surprised at the reveal and the mystery was solved satisfactorily. This is not the cover of my edition, but it was all I could find. Truth be told I probably wouldn’t have bought the book with this cover :). Light, fun read with some heartbreak, some romance, and some basic growing up. 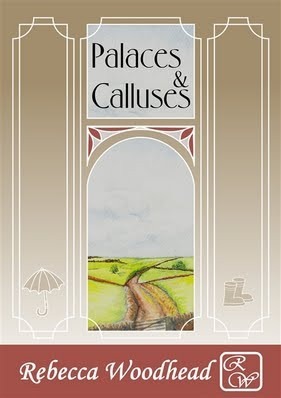 The main character, Mary was married young and then her husband has an affair and she has to start over, in the Cotswolds. I liked it well enough that I would probably try the second in the series given the opportunity. I found some parts of the plot forced you to suspend your disbelief quite a bit, but overall an enjoyable chick lit type read. I received this book by Mariah Stewart as part of a series from a friend. 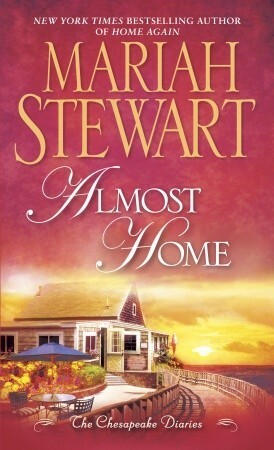 I hate to say but it went in my DNF pile…I finished it, but with major league skimming to the end, so I don’t think I can say much more other than it was not for me. Finally, the best of the bunch! I always enjoy Trisha Ashley books and this was no exception to that. Really lovely, touching, romantic comedy type read. 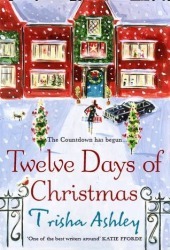 I loved the main character, Holly Brown (perfect name for a Christmas themed book). The cooking and food scenes were mouthwatering and the setting was perfect. The characters were well developed and interesting. You could clearly understand their motivations and behaviors. This book definitely put me in the mood for the holidays. Fans of British women’s fiction, Christmas themed books, and cooking (traditional foods) should all find something to enjoy here. This entry was posted in Book Reviews and tagged book, Kindle, review.